Happy Feast Day to all Carmelites, especially the one in our family! 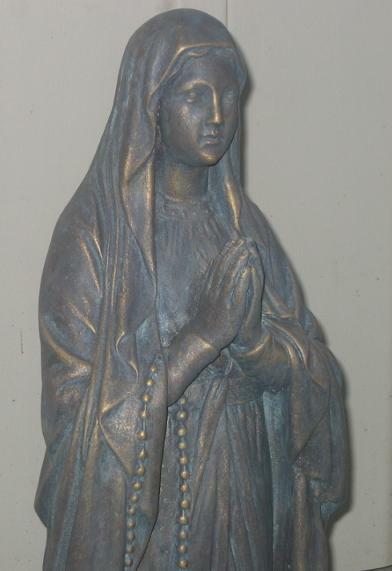 i'd like to say we purchased our new Our Lady of Lourdes statue to honor the Marian feast day, but in truth, we ordered it weeks ago and it just arrived today. 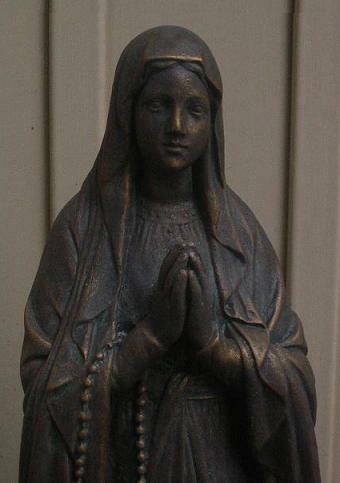 But we did, um, put it out front to celebrate the feast day. I'd be happy to tell you the maker, so long as you promise to order it through your local Catholic book/gift store if you have one. They don't direct ship to consumers anyway. Why Our Lady of Lourdes? Well, although I do have somewhat of a devotion to Lourdes (details here), the main reason is that it seems odd to buy a 27" statue that is going to rest on the ground and have Mary looking down. This one was one of the few where she is actually looking up. This page is a archive of entries in the Family category from July 2009. Family: May 2009 is the previous archive. Family: October 2009 is the next archive.